"Worldly success has been nice, but discovering and seeking to achieve my God-given purpose has brought me more fulfillment than I ever thought imaginable." Troy A. Lyndon is an experienced entrepreneur, patent holder and missions supporter. Mr. Lyndon, originally a New York born native, has lived most of his life in California, before making Honolulu, Hawaii his home. Troy Lyndon's mother, now Jacquie Edelen, was an area manager in direct sales during his childhood years. She finished her education and is now a human resources professional. His now-retired father, David Lyndon, is a former Marine, Aegis Program Director and Seasparrow Program Director. Adopted by David, Troy was just 6 years old. Following in his new father's engineering footsteps, he seriously considered an aerospace career. After having developed and sold numerous video games written in assembly language by the age of 21, Mr. Lyndon visited Point Magu Naval Air Station and was asked to write new missile guidance software. Instead, he chose to pursue a career in video games. Today, Troy Lyndon is most well-known as the original team lead developer of the first 3D versions of John Madden Football, which has since become a billion dollar brand for the publisher Electronic Arts. At that time, Mr. Lyndon was President of Park Place Productions. In just over 5 years' time, Mr. Lyndon and his partners Michael, Richard and Rich Knox, Jr. grew the company to become North America's largest independent entertainment software development company with more than 45 projects developed simultaneously for 14 publishing companies. In 1998, Mr. Lyndon left the game industry to join a missionary organization for 5 years before returning to video games as founder of a new video game company dedicated to positive, non-violent games which perpetuate family values. At age 13, Troy Lyndon developed and sold his first video game professionally, titled Space Voyager for the Radio Shack TRS-80. Encouraged by his childhood friend, David Jennings, he followed with two additional games titled Great Wave, Space Quest and Conquerer also for the TRS-80. Over the next few years as Lyndon pursued academic interests, he continued developing by co-authoring Atari to Commodore 64 game conversions of Time Runner, Snokie and Flak with co-developers Scott Maxwell and Yves Lempereur. Seeking greater satisfaction by creating original games, Lyndon then sought out to create original games with co-developer, Michael Knox. The two signed an agreement with DataEast to develop ABC's Monday Night Football and Dream Team Basketball for the PC. Monday Night Football was recognized as one of the best sports games of the year by nomination from the Software Publishers' Association, and it featured two innovative firsts never before seen in PC games including support for every graphics card (Hercules Monochrome, CGA, EGA, VGA and 256 color VGA color modes) and it was only the second PC game to include digitized audio that could play through the PC's internal speaker. After Madden Football's success, Lyndon and Knox with programmer Jim Simmons went on to create the first NHL Hockey video game for the Sega Genesis platform. Utilizing green-screen video capturing equipment, Lyndon and his developers went on to create technologies to roto-scope real-life imagery of a hockey player directly into characters which appeared in video games. As a result, Lyndon built the video game industry's first dedicated filming studio (sound stage). The first EA Sports branded NHL Hockey game was released and heralded as the first game to implement fluid movement of real-life hockey player motion. Surrounded by a dynamic and tremendous staff, Lyndon and Knox were recognized when awarded the Inc. Magazine Entrepreneur of the Year Award by Ernst & Young and Merrill Lynch. Former employees from Park Place Productions include John Smedley (President of Sony Online), Chris Whaley (Red Zone Interactive) and others... Products produced under Lyndon's supervision included Jeopardy!, Wheel of Fortune and Kawasaki for GameTek Inc., Madden Football and NHL Hockey for Electronic Arts, Mohammad Ali Boxing, Magic Johnson Basketball and David Robinson Basketball for Virgin Games, NFL Football for Konami, Quarterback Club Football for Acclaim, ESPN Baseball for Sony, Batman and numerous others. Returning to work exclusively under contract with Corel Corporation, Lyndon built a second generation filming studio (sound stage) for use in entertainment software production. The first game was Where in the World is Madison Jaxx, a monumentally sized educational game on five CD-ROMs - teaching geography to teenagers and adults. Further, Lyndon produced the most ambitious interactive motion picture ever; Arthur, the King, the Sword, the Legend which included more than 5 hours of film featuring more than 60 actors and actresses and a first-time green-screen implementation of horse motion in a video game. Due to cut-backs resulting from Corel's purchase of WordPerfect, numerous development companies were shut-down when Corel chose to exit the consumer software business. As a result of Lyndon's exclusive agreement, other interactive motion pictures included Sinbad, Sargasso: Sea of Fear, Atlantis and Mind Traveler were never finished or released. After reading a book by Bob Buford called Half Time, Lyndon left the video games industry to serve with the Jesus Film Project, the largest missionary organization of CRU (formerly Campus Crusade for Christ). Originally starting by fixing computers, Lyndon was quickly moved into multimedia development by completing improvements to the Jesus Film DVD Internet Game. Shortly thereafter, Lyndon started Jesus Technologies where he contributed to numerous projects for Campus Crusade and other ministries, including a new version of the Missions Atlas Project, The Jesus Film CD-ROM in Arabic, the Jesus: Fact or Fiction DVD, the Jesus Film Kiosk, the Outreach CD Project, an InTouch Ministries CD-ROM and the Evangelism Toolbox CD-ROM for Campus Crusade for Christ, in association with the Billy Graham Evangelistic Association. Starting in 2002, Lyndon began development of the first high-quality Christian video game based upon the popular LEFT BEHIND brand of novels, written by Tim LaHaye and Jerry Jenkins. The LEFT BEHIND novels have sold more than 65 million copies through publisher Tyndale House Publishers. Although the game was originally released amidst controversy, the Left Behind branded games have become the most widely distributed inspirational games in history. Having developed a remarkable set of skills as a life-long entrepreneur, Lyndon seeks to help entrepreneurs find their God-given purpose and plan. Having developed and produced more than 50 successful video games in his career, Troy now seeks to develop and help others develop life-changing games that will perpetuate God’s Word in a modern generation saturated with distracting content. Lyndon is currently seeking opportunities to assist in the development of Android and iOS Mobile games. Hired by GameStar, which was acquired by Activision, Lyndon started by developing simulated sprite drivers for the Macintosh version of Star League Baseball. Programming for GameStar continued even after the Activision acquisition while Lyndon went on to develop Star Rank Boxing, Barry McGuigan World Championship Boxing, GBA 2-on-2 Basketball and portions of GFL 3D Football. At this time, George Lucas had completed his movie Return of the Jedi and he began work on a new movie, for which Lyndon was the Activision whiz-kid developer called to the task. That movie was Howard the Duck, which has gone on to become one of the worst box office failures of all time. Lyndon believes more games were sold than VHS copies of the movie. Branching out on his own, Lyndon signed a 15 title deal with Capcom to bring numerous coin-op games home to the Commodore 64 and new IBM PC platforms. Games included Street Fighter, Sarge, Speed Rumbler, Hat Trick, 1942, Bionic Commando, Ghosts 'n Goblins, Side Arms, and Tiger Road. Obviously more work than one could do, Lyndon became the co-founder of Pacific Dataworks International with Christopher T. Riggs. Due to the success and development effort of Monday Night Football on the PC, Electronic Arts sought out Lyndon and his partner Knox to develop a football game which became the first 3D Madden Football game ever developed. Lyndon originally opposed the idea of a 3D game by his lead programmer, Jim Simmons, but empowered him to create the display engine if he could meet certain timeline deadlines - the concept was encouraged by Scott Orr, while Steve Quinn developed quality graphics at lightning speed. Because this had been Lyndon and Knox's third football game, the game logic was implemented in record time. Lyndon credits Electronic Arts' producer Richard Hilleman for his countless hours spent with Simmons bug-testing and refining the game which was developed on the new Sega Genesis platform in record time; 6 months in-time for Sega's new platform launch. Simmons, a high-school buddy of Lyndon's, proved to be a smart pick having never previously developed a game or professional software project before. Lyndon openly has fond memories of his development team which created the most successful sports game franchise in video game history. Over 5 years, Lyndon and the Knox family grew their development company, Park Place Productions, to 130 employees with several separate divisions, including Game Development, Publishing and Testing, servicing at peak 14 publishers while making 45 games at once. Lyndon left the video games industry for a brief stint to develop CD-ROM productivity products for Computer Associates including Simply House, Stanley's Complete Book of Home Repair and Improvement and Simply Vacation, the first database driven travel-agent custom vacation software product. Both products were innovative in terms of content size, representing 2 of the first 10 CD-ROM titles ever to include Intel's Indeo full-screen video playback technology. Turning his talent toward new media production, Lyndon created a television talk show that discussed current day events from a biblical perspective. Each show featured a guest Pastor or Ministry leader. 14 episodes in all were created and aired regionally in southern California. Guests included George Bryson of Calvary Chapel, Moses Vegh of Ambassador Ministries and numerous others. Computer graphics and audio production were created at the highest level to be competitive. Set designs were also detailed to compete with high-quality studio backdrops similar to those used on Larry King Live and David Letterman. Aside from the first, iLumina has become known as the highest-quality interactive Bible and encyclopedia suite. Developed by a team of more than 30 developers, Lyndon was engaged with only 9 months remaining in the project schedule to manage all of the interactive programming which had not started. Beginning from scratch, Lyndon achieved this goal despite content delivery delays and the final product includes innovative QuickTime VR, full-screen video animation, and a fully interactive verse-by-verse first-ever graphical view of the New Living Translation Bible. Back to his innovative roots, Lyndon created a new technology to allow consumers to click on items of interest in a video stream, weather it be a fancy car or a nice sweater. This innovation has not yet been developed for mainstream interactive television, but clearly our world is moving in this direction. For more information, view a video which talks about this technology at www.troylyndon.com/ti.mov. Lyndon took the company public in 2006 and prior to his departure, Left Behind Games had become a recognized leader in the development and publishing of high-quality inspirational video games. 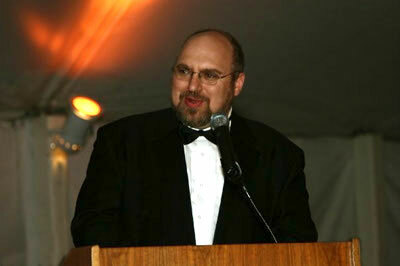 By 2012, Lyndon had published 11 games, becoming one of the most prolific publishers of faith-based games in the world. At that time, Lyndon was CEO of the world’s only Christian video game company. Controversy: In 2013, government regulators made allegations against Lyndon while pursuing a “civil” enforcement action. Lyndon believes the SEC did not adhere to the Brady Rule doctrine of legal discovery and as a result, it has hidden exculpatory evidence from Lyndon and the courts. The SEC has also failed to properly respond to Lyndon’s rightful request under the Freedom of Information Act. Lyndon believes the SEC also hid this exculpatory evidence from the US Attorneys office, due to their cancellation of a grand-jury appearance and the absence of any criminal prosecution upon notification of SEC’s actions. These actions by the SEC that do not adhere to the Brady Rule have been challenged by Lyndon in a recent Writ of certiorari submitted to the Supreme Court of the United States in July 2018. It may take years before this matter is resolved. Meanwhile, Lyndon has begun development on a new “Left Behind” branded mobile game for Android and iOS with the intent to release it in 2019. Although some engagements involve only Mr. Lyndon, Troy’s extended Team includes a multi-national group of brilliant minds from relationships developed over 30 years.